Being a marketer, and in the business of social media, I’m on the Internet as part of my career. As in, a lot. I am constantly fascinated at the things I see, and can react to either online or in real physical life. It also has raised my BS meter, because it turns out yes, the Internet occasionally lies. But I am an optimist, and love how learning new things on the Internet continues to pique my curiosity and spark new, sometimes obtuse trains of thought, including this blog post. My current fascination is finding random facts, of which it turns out, there are many to stumble upon. I thought in the spirit of randomness, I would pass along some of the interesting, wonderous and otherwise ‘things that make you go Hmmm’ fun facts I’ve discovered recently. Fun fact about San Jose, my very own city (discovered through an unsolicited marketing email from a real estate company I had never heard of): Dustin Diamond aka Screech, from “Saved by the Bell,” is a San Josean, like myself. Based on the recent TV docudrama “The Unauthorized Biography of Saved By the Bell”, I am not sure if this fact is a proud moment to share, or one to move past swiftly. Fun fact about vocabulary (discovered while perusing Facebook, and thanks to a post by my friend Charlie Oliver): I just learned the true meaning of “doppelganger”. 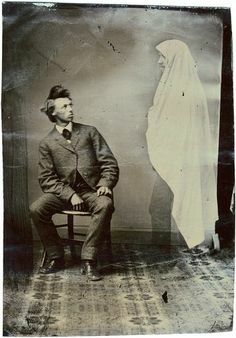 I always thought it was another person who resembles you, but it actually means “double walker” in German, and describes a paranormal entity that impersonates you elsewhere. #mindblown. I posted this on Facebook and my friend Paul commented that what I thought it originally meant – someone who just looked like you – was the common usage, it got me thinking. Why would the Germans have a word for this term anyway? Were there really that many departed souls wandering around in 19th Century Germany pretending to be living people that it needed a term?! Would love some clarity around this. Fun fact about dogs (discovered while researching a myriad of pet websites for possible reasons my dog wasn’t eating): Peach and plum pits are toxic and dangerous to dogs.Contrary to what the Internet said, they actually cannot break open and poison your pet with their inherent cyanide (vet verified); but they can become lodged in their stomachs and cause a whole lotta pain, trouble and medical and paper towel bills. Hottie Hotterton does Disney. Did I say that outloud?! 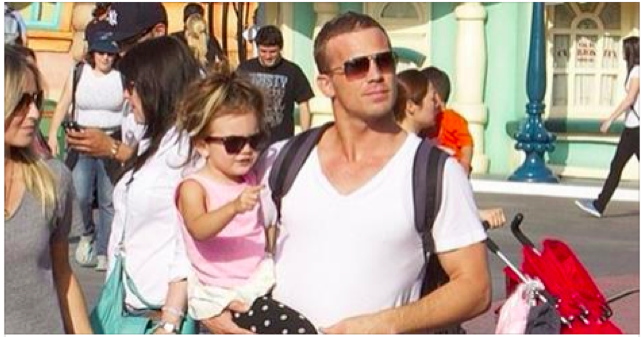 Fun fact about Disneyland (first seen on Facebook when one of my girlfriends, Cheryl, posted in our secret group from Buzzfeed, and then again today on Huffington Post) There is actually an Instagram account called “DILFs_of_Disneyland” where people can post photos of hot dads spotted at the park. If this isn’t a declaration of feminism, I don’t know what is. The creative are curious – and that’s every human on the planet, in some shape or form. So go have some fun and enjoy the randomness online for a change. What could you learn and share through a little poking around? ← Seeing the high layer: When do you know you’re doing enough?